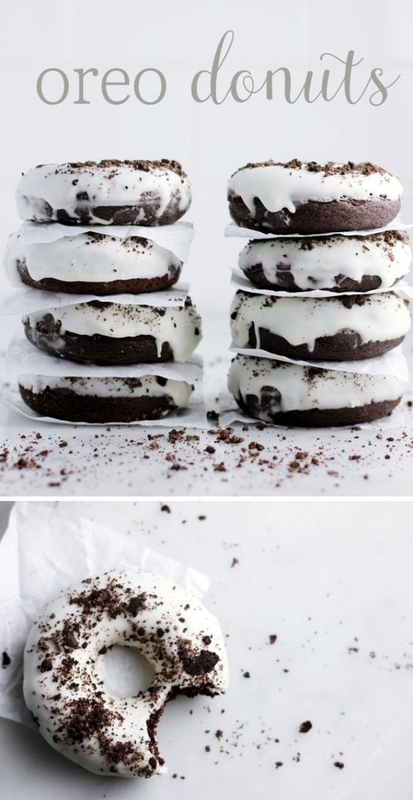 We are already so much in love with the chocolate cookies sandwiched with vanilla cream in between making it our favorite snack to crunch. But here is what we bring to you something so creative and tasteful to try as a quick snack with Oreo (make sure to keep away the fruit flies, though). And I can feel my mouth watering as I went through these oh-so-yummy, New and Creative Oreo Recipes. You, too, just could not resist opening this entire article just by reading the title isn’t it? Being a big bad foodie isn’t a crime, after all. (So, why don’t you munch on some Oreo biscuits while you read some awesome lip-smacking recipes?) Working out with the genius food art lifts up the represented making it way tastier. Yummy! You just need some vanilla Oreos, milk and sugar. 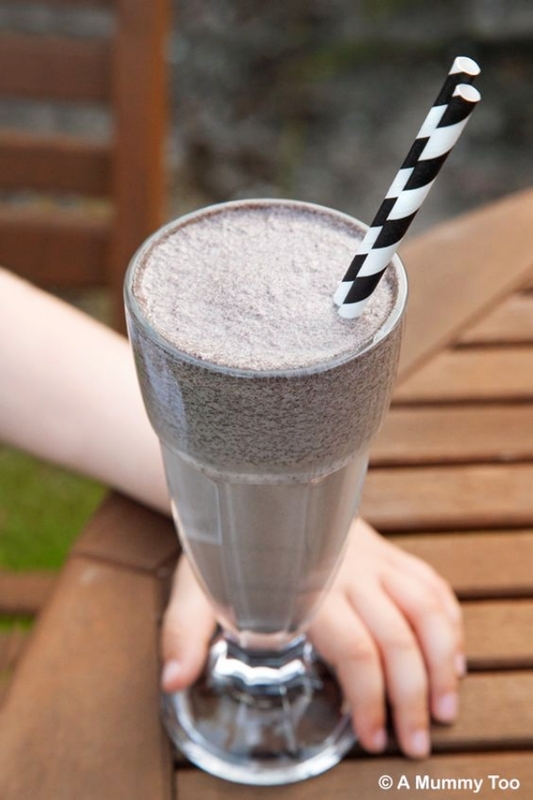 Make a thick shake out of these ingredients and sprinkle some Oreo on the top and your Oreo Truffle shake is ready. To make this, you will need Vanilla Oreo Biscuits, cream cheese and white chocolate. Grind the biscuits and cream cheese together at high speed so that they mix well. Now take this mixture and using a round table spoon, make small balls of Oreo and place it on a tray with butter paper. 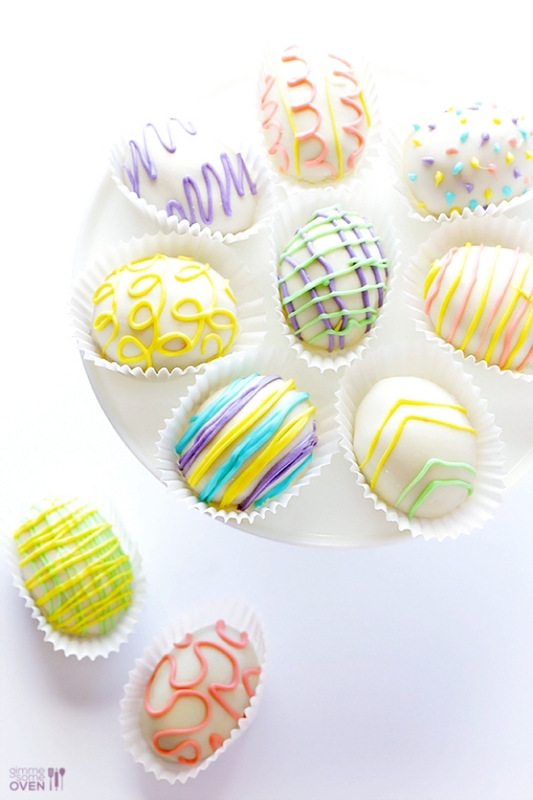 Dip these balls into the melted white chocolate and place it back on the tray. 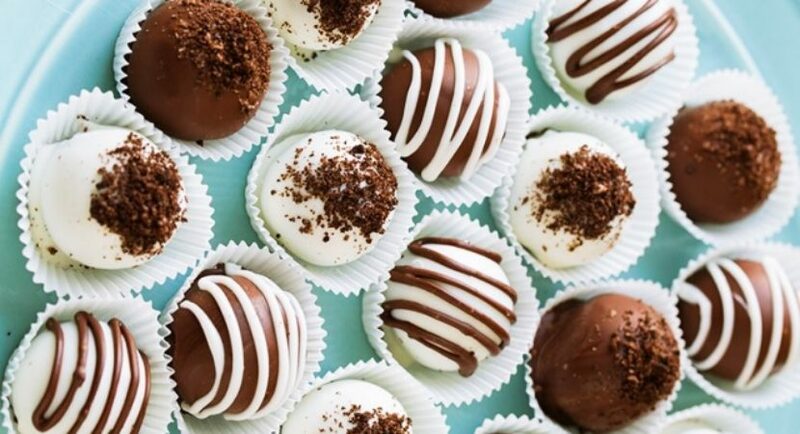 You can use the chocolate dip of your choice and even decorate your Oreo balls with layers of chocolate. 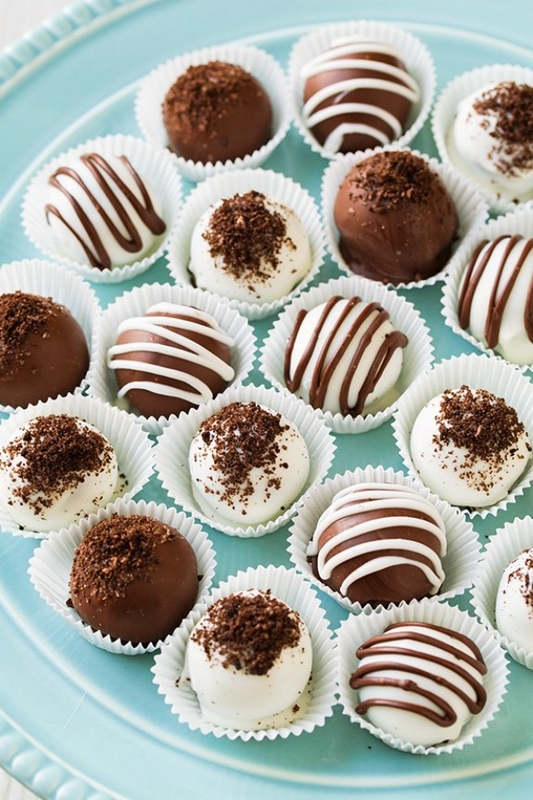 Freeze them for at least 4 hours and your truffle chocolates are ready to eat. Oh No! This does not mean the Oreo is free of cost. It requires simple making, but trust me it is one of the best new and creative Oreo Recipes. Take some chocolate and smother it on the sides of the glass. Dip this on some small sized Oreo crushes and let it freeze for an hour. 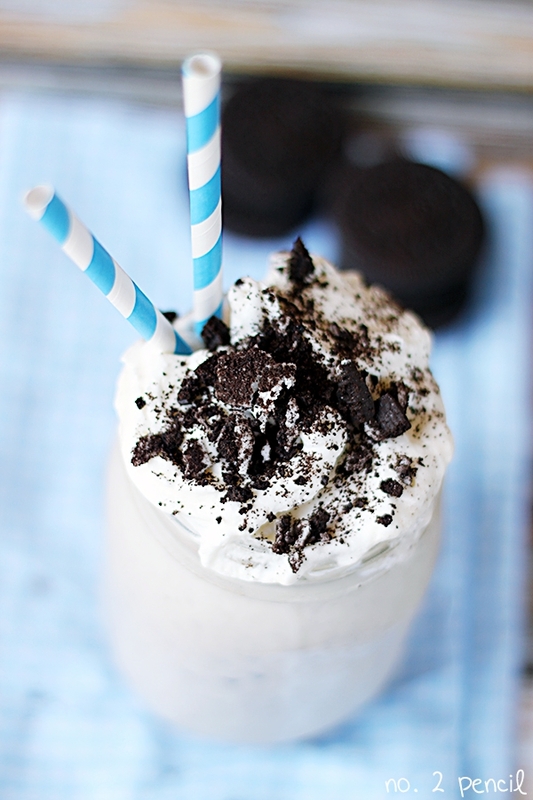 While that happens, take vanilla ice cream and Oreo biscuits in a blender. Add some milk and blend them together. Add some melted chocolate at the base of the bottom, pour in the blended shake and top it up with whipped cream. Sprinkle some more Oreo on top of it and its ready! Oreo + Fry? Really! Yes, to try out this new and creative Oreo recipe, you need to make doughnut dough and let it rest for at least 30 minutes. Take a small ball of this dough, flatten it and take one Oreo biscuit and place it in the center of the dough ball. Wrap it and make it into a flat ball again. Place all of these on a tray. Fry all of these in oil until they are golden brown. Dip them in sugar mixture for coating and serve them hot. Chop all the Oreo biscuits roughly. Mix white chocolate with condensed milk and melt them in the microwave. In this melted mixture, add the chopped Oreo and stir well. Pour all of this into a tray with big chunks of Oreo. Freeze this for at least 5 hours and cut it into pieces to serve. Take an Oreo packet and smash it. 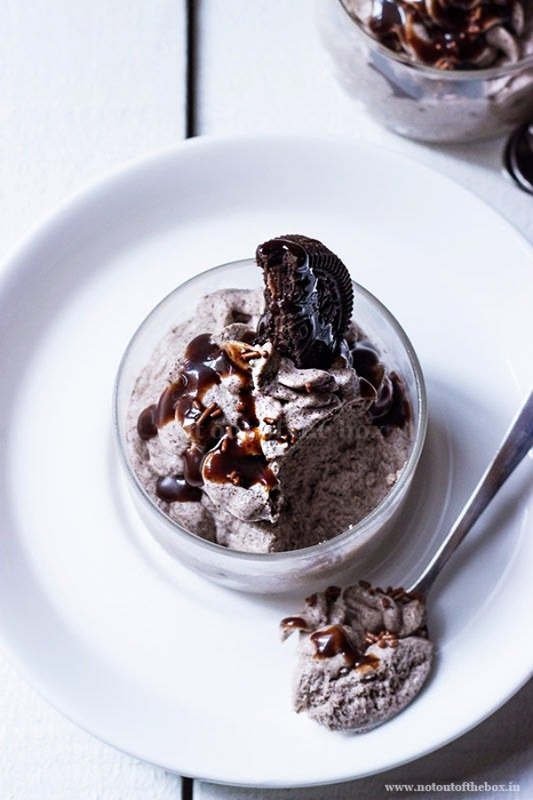 Take ice cream and mix it with this chopped Oreo and mix it well. Let it freeze for an hour. Take new biscuits and remove the filling from it. Take one piece of the cookie, place the ice cream and Oreo mixture in the middle and close it with the other piece of cookie. This is my favorite new and creative Oreo Recipes. To make this pour melted chocolate into a egg mould. Freeze it and add another layer of chocolate and freeze it again. Remove the cream filling from the biscuit and blend it into a mixture and crush the cookies into this. Spread this into the eggshell mould and take two eggs mould to make one big egg. Take the biscuits and mix it with condensed milk. Let this mixture remain as is overnight and then next day blend this until it automatically becomes into a thick mousse mixture. Place it into serving glasses and top it up with grated chocolate. Add vanilla extract and icing sugar to some cream and blend together. Place an Oreo biscuit onto a butter paper and pour some cream on to it. Make at least three such layers on top of each other. Now, smolder all the cream that is flowing. Smother this evenly along all sides so that Oreo is hidden and sprinkle the top with your favorite topping. Let it freeze and it is ready to serve. Food is love and Oreo is favorite munchies for everyone! Share you own ways to create best treats out of the chocolaty biscuits. The nuances of serving food in all the new styles maybe something you wanna read next.